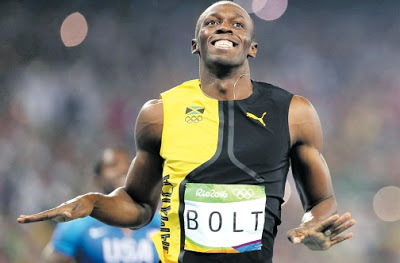 Bolt to skip IAAF World Relays – Royal Times of Nigeria. Jamacian sprinter, Usain Bolt is poised to skip next month’s IAAF World Relays in the Bahamas as he prepares to retire from the sport later this year. The reigning Olympic 100m and 200m champion told reporters at a track meeting in Kingston on Saturday that he was unlikely to feature in the Jamaica squad for the two-day championship set for April 22-23. He said; “My coach hasn’t said anything about it (World Relays), so I doubt that I will be competing there this year. I am just trying to stay injury free,”. As the reigning world champion over 100m and 200m, Bolt qualifies automatically for the World Championships in London and will not take part at the Jamaican Championships qualifying event in June. The 30-year-old said he was happy with his training for the final few months of his career, which will end with his retirement after the World Championships.